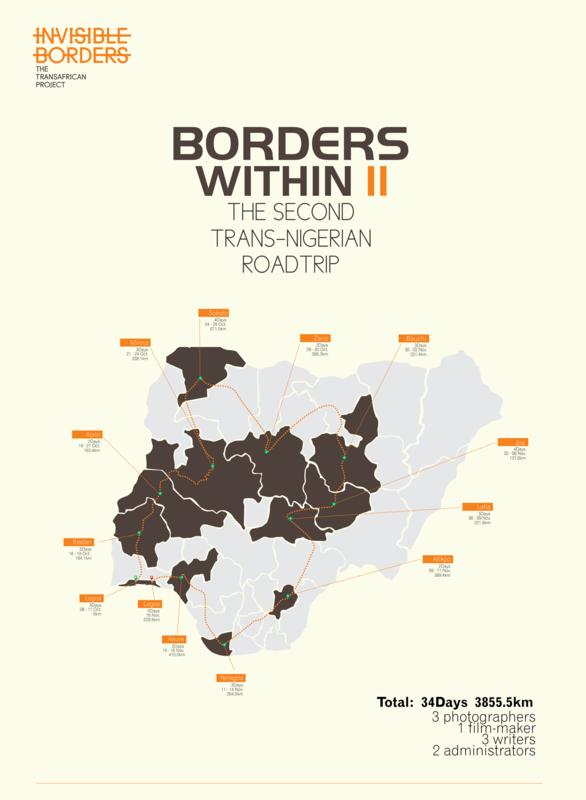 Last year, we embarked on the first leg of The Trans-Nigerian Road Trip, Borders Within. The project saw participating artists visit 14 states and 16 cities, employing a subjective gaze while focusing primarily on reflecting the voices of individuals – the average Nigerians. 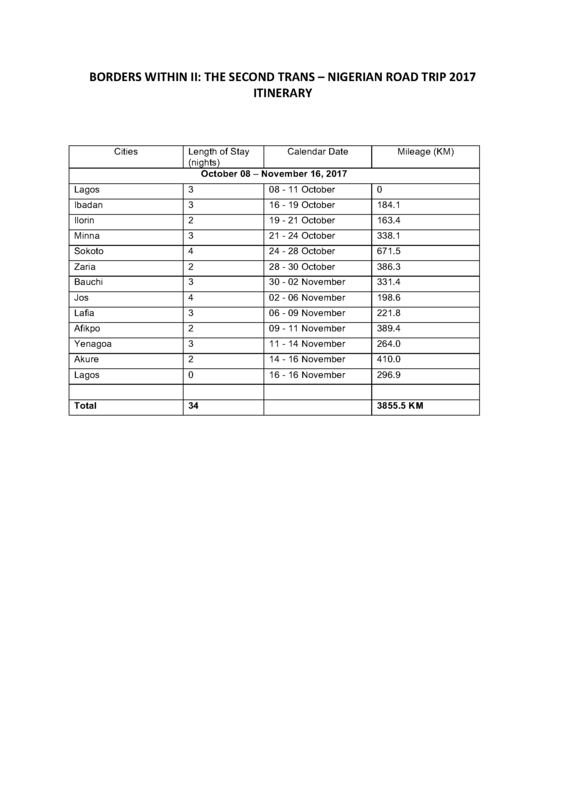 This year, we shall attempt to finish what we started last year by travelling across 12 Nigerian states. The Road Trip is slated to happen between October 16 and November 16, 2017. Participants of Borders Within II shall focus once more on the goal of mapping diversity across different regions, states and ethnic formations in contemporary Nigeria. Artists will work on individual projects from their interactions with the places and people and create works that will encourage conversations about our similarities and differences as a nation. Please note that all of this is on pro bono basis. Your contribution means a lot in making this a collective endeavour.